Hans Dortenmann was born on 11 December 1921 at Weingarten in the Württemberg region. He was serving in the army as an infantryman in April 1941 but transferred to the Luftwaffe and underwent flying training. Dortenmann was posted to JG 54 on the Eastern front on completion of his flying training. Leutnant Dortenmann was assigned to 2./JG 54. He gained his first victory on 6 February 1944, when he rammed a Russian La-5 fighter. Dortenmann’s Fw 190 A-6 “Black 7” sustained damage to its left wing but he managed to fly back to Orscha-South airfield where he successfully belly-landed. He flew this day as wingmann to Ulrich Wöhnert (86 victories, RK) who would confirm Dortenmann‘s first victory. On 10 June, 2./JG 54 was withdrawn from the Eastern front and relocated to Western front to join III./JG 54. Dortenmann had accumulated 14 (15) victories in the time he had operated over the Eastern front. On 20 June 1944, Dortenmann was appointed Staffelkapitän of 2./JG 54, which on 10 August became 12./JG 54. Dortenmann was shot down near Paris on 26 June in Fw 190 A-8 “Red 1” but managed to bale out. Over the Invasion front, Dortenmann claimed six Allied fighters shot down. In mid-August, III./JG 54 was withdrawn to Germany to refit. In late September the Gruppe received its first Fw 190 D-9 fighters, becoming operational on 12 October when after only a few weeks of training, at the request of Major Walter Nowotny (258 victories, RK-Br, killed in action 8 November 1944), 9./JG 54 under Oberleutnant Wilhelm Heilmann (34 victories) went to Hesepe and 12./JG 54 under Leutnant Dortenmann went to Achmer to fly airfield protection for the Me 262 jet fighters of Kommando Nowotny, remaining there until 25 December. On 25 December, III./JG 54 was placed under the operation control of Major Karl Borris (43 victories, RK) of I./JG 26 for Operation Bodenplatte. On 29 December, Dortenmann shot down a RAF Spitfire in the Münster area on a day that III./JG 54 lost its Gruppenkommandeur Hauptmann Robert Weiss (121 victories, RK-EL) in addition to 12 other pilots in combat with Spitfires and Typhoons. Dortenmann was named acting Gruppenkommandeur of III./JG 54 on 30 December and remained in this role until 11 February 1945. On 1 January 1945, Dortenmann led III./JG 54 on Operation Bodenplatte against Brussels-Grimbergen airfield, from which 12 of its 17 pilots that flew the mission failed to return. 12./JG 54 was disbanded on 19 February 1945 with its pilots being distributed throughout the rest of III./JG 54 and Dortenmann taking command of 11./JG 54.  On 25 February, III./JG 54 was absorbed into JG 26 with Dortenmann’s 11./JG 54 becoming 14./JG 26. 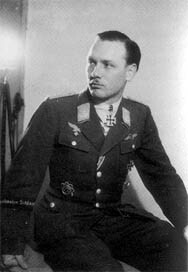 On 29 March 1945, Oberleutnant Dortenmann was appointed Staffelkapitän of 3./JG 26. He was awarded the Ritterkreuz on 20 April for 35 victories. During this period he flew 28 ground-attack missions claiming a transport glider, two aircraft, one tank car, seven trucks, three armoured infantry vehicles and an anti-aircraft position destroyed. Dortenmann flew his last combat mission of the war on 27 April and shot down a Russian Yak-3 over Berlin. Hans Dortenmann survived the war but died on 1 April 1973.